In PHP-Fusion, you have the ability to upload items for your site visitors to download. Before you can create or add a new download, you must have at least one or more download categories. This short article explains how to create a new download category in your Php-Fusion admin panel. How to login to the PHP-Fusion Admin Panel. From the main admin page, ensure the Content Admin tab is selected. Locate and click on the Download Categories icon. This brings you to the category data entry screen. Enter data in the fields to set up your new category. The name of your new download category. Short statement about the category. Once you have entered the data, click on the Save Category button. 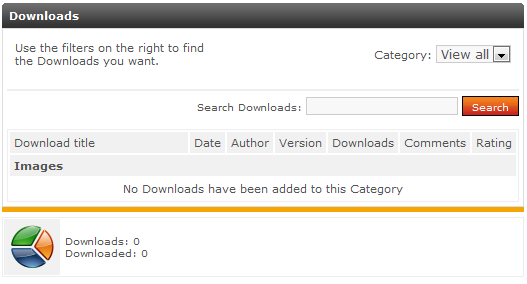 Your new category will be listed under the Downloads Category list.